Miriam Nell Jones Orr Chamberlain was born November 8, 1921, at her family home in Newborn, Ga. At 96 years of age, she passed away peacefully in her parent’s home in Newborn, Ga. on September 3, 2018. Miriam graduated from Newborn High School in 1938 and then attended Georgia State College for Women, graduating in 1942. She moved to Atlanta and worked for the Telephone Company. She met Lt. Mark Lafon Orr, a Navy fighter pilot, at a dance at the Naval Air Station. Soon after, they married and were stationed in Westerly, Rhode Island. Mark Orr was killed over the Pacific Ocean before their first anniversary during World War II. He was posthumously awarded the Silver Star, Distinguished Flying Cross, Air Medal and the Gold Star “for conspicuous gallantry and intrepidity while serving as pilot of a night fighter plane in Fighter Squadron Ten, attached to the USS Intrepid…” Following his death, Miriam moved to Atlanta, worked for the Texas Company, and married J. Mark Chamberlain, Jr. She worked for a short time in Rich’s Regency Room, where she racked up sales with her charm and classy style. She lived in Atlanta for fifty years before moving back to her family home in Newborn. Miriam grew up as a member of Newborn United Methodist Church, and while in Atlanta became a charter member of St. James United Methodist Church. In 2003 she transferred her membership back to Newborn United Methodist Church. Miriam was predeceased by her parents, Guy Albert Jones and Mae Pitts Jones, her sister, Doris Jones Hinton, and her son John Jones Chamberlain. She is survived by her loving daughter and son-in-law Sally Budd and Beryl Budd, her loving caregivers Lois Parfitt and Cynthia Clarke, many cousins and her adoring pets. She was a volunteer for Rabun Gap – Nacoochee Club, Northside Hospital Auxiliary, and the Swann Coach House Gift Shop supporting the Forward Arts Foundation. 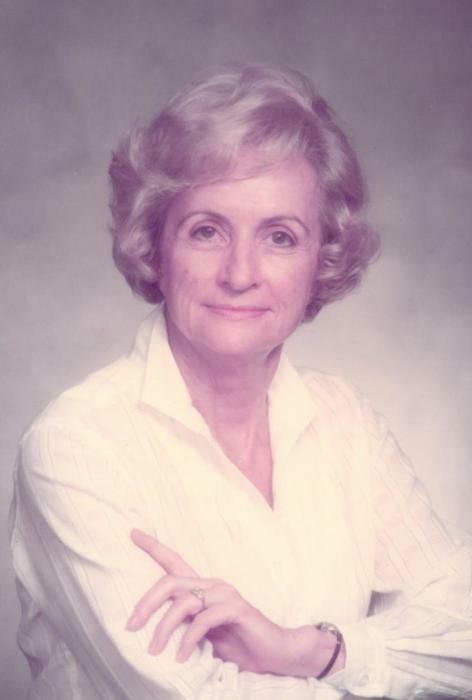 Miriam was a member of the Pine Forest Garden Club for fifty years and served as president in 1977-1978. Miriam was precious, darling, cute, charming, gracious, classy and witty, and possessed a wonderful sense of humor. She had many lifelong friends and will be missed for her delightful and generous character.